I’ve led a number of intro to iPad sessions for the Learning in Retirement group at our local university. A participant from one of those sessions recently wrote me this email asking for help choosing an iPad model. Her email message (edited for clarity) and my reply appear below. 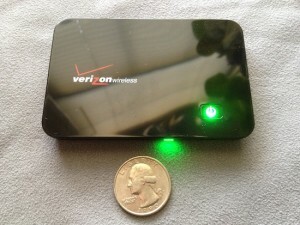 The “hotspot” device she mentions is a small, portable device sold by cellular carriers, often called a Mi-Fi. This device allows you to use the Internet over the cellular network when a Wi-Fi network isn’t available. If you choose the right iPad model, you don’t need one of these. was wondering if you thought it might have built-in Wi-Fi? need the hotspot device and wouldn’t be locked into a 2-year contract! You have a good idea. I’ll clarify a few items. All iPads come with Wi-Fi built in, even the first model. What you are looking for is an iPad with Wi-Fi + 3G/4G that can connect to cellular networks. These are the same 3G or 4G wireless networks cell phones use. You then sign up for a data service with a wireless carrier (AT&T, Sprint or Verizon in the U.S.) to activate your iPad hotspot. Here’s a short video clip taken from one of the video lessons in my iPad Academy Master Class. Tap or click to play. Any recent iPad model can act as a hotspot to connect to the Internet, but you must have an iPad 3G/4G model that can connect to cellular networks. You will also need to pay the wireless carrier a monthly fee for this cellular connection. The good news is that when you decide to activate cellular service on your iPad, you can do it on a monthly basis if you want. You don’t need a long-term contract. You can connect just your iPad or you can connect up to five other devices through the iPad. These other devices share the iPad’s cellular connection and data plan. You’ll consume your data plan more quickly and you may notice slower connection speeds with multiple devices. Using your iPad this way means you don’t need another mobile hotspot device, such as the Verizon or AT&T MiFi. You can use your iPad as the mobile hotspot and manage your data service right on the iPad. Apple has more info on this using an iPad mini. 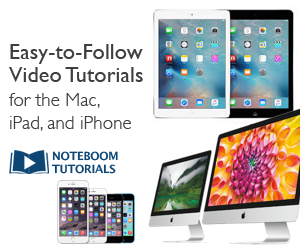 Other iPad models will work in a similar way.